For more than a century, FBI fingerprints have been used by law enforcement as a reliable means for identifying individuals, including suspects at crime scenes. Since FBI fingerprints vary from person to person—even identical twins have different FBI fingerprints that don’t change over time, making them an effective method for identifying fugitives and identifying suspects at a crime scene. The practice of using FBI fingerprints to identify individuals was first developed in 1888 by Sir Francis Galton who defined points and characteristics in which they could be used and classified. When copied FBI fingerprints usually appear as a series of dark lines representing the high peaking portions of the skin’s ridges, with the valleys appearing as white spaces representing the low shallow portions found between ridges. 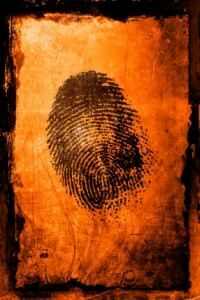 The Latent Print Operations Unit (LPOU) is responsible for conducting scientific examinations, rendering professional opinions and providing expert testimony—comparing latent FBI fingerprints, palm prints, and footprints. The LPOU also provides scientific training and forensic support to law enforcement agencies on both a national and international level. The FBI’s Disaster Squad uses FBI fingerprints to identify victims of mass fatality incidents, including Hurricane Katrina, the recent Tsunami in Thailand, the Oklahoma City bombing, TWA Flight #800, the Space Shuttle Challenger explosion, the attack on the USS Cole, and the 9/11 terrorist attacks. Maintained by the FBI’s Criminal Justice Information Services (CJIS) Division, the Integrated Automated Fingerprint Identification System (IAFIS) contains the FBI fingerprints of more than 61 million individuals, with the system’s capabilities including the automated Ten Print and the Latent Fingerprint Search system. Directory members can be extremely helpful to anyone seeking information, an investigator and/or seeking a professional opinion. Looking for an expert—visit website and use search feature, entering the appropriate skill, as well as the geographical area of preference to make contact with an FBI specialist.